We’re off to a great start in 2019 – playing an integral role in creating memorable and impactful experiences for our fellow Travellers in Bhutan. Kadinche and Thank you! “…We had a magical, wonderful, informative and luminous visit due to the kindness of Rabten and Kuenga. We could not possibly have been in better care. Rabten is a gem who taught us much about Bhutan’s culture, heritage and history. Kuenga is the best driver. We bonded with both of them. Warm wishes and gratitude…” Michele and Elsie, Washington, DC (Oct 2017). “…We’re stil in Paro but I wanted to say: THANK YOU.The trek was a most challenging, frigid, uncomfortable 4 days of muddy, snowy, slippery trails – it was also one of the most exhilarating, fascinating, humbling, and glorious experiences of my life. The snow turned out to be a kind of weird blessing – we had the whole trail to ourselves and the landscape took on an almost surreal beauty. We also got a chance to connect with locals around their iron stoves, huddling for warmth, laughing through the night!The whole trip has been profoundly affecting. I’ve never visited a place before and felt such depth and immersion on every level: culturally, aesthetically, spiritually. David, New York. (Jan 2017). 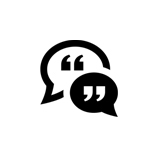 “…Rebecca and I had an amazing time in Bhutan..Your suggestions on itinerary and accommodation were perfect…” Jordan & Rebecca, USA, Canada & Hong Kong. (Jan 2017). “…Time has been flying since Bhutan…Thanks again for a well organized trip and great evening at your home. We loved Rabten guiding, he was soo caring for Louise who was very happy to have gone up to Taktsang …” Catherine, Aspen (Fall 2016). 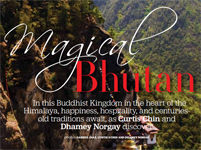 “…Our trip to Bhutan was amazing and has left us with wonderful memories. Now that I am sorting through thousands of pictures, I can relive it all again. Through your excellent organization and execution by your fabulous staff, we came away with a sense of awe at the beauty of Bhutan and its culture and traditions while reminding ourselves that leading a simple life really is a good thing!…” Maggi, Colorado (Fall 2015). “…I wanted to let you know that you have been on our minds of late. We are all getting ready for Christmas cards and were having the toughest time figuring out which Bhutan photos were the best (they all are.)! I cannot tell you how much all of you mean to us and the most special trip you took us on. I wear my Bhutan shirt quite frequently and every time I think of you guys. You are such inspirations to us and your hard work and good attitude is a blessing. I cannot say when we will make it back to your endearing country, but know that you are all in our hearts and memories…” Nadya and family, San Diego, CA. (Summer, 2015). “…I cannot thank you enough – on behalf of all of us – for your wonderful hospitality in addition to everyone else…” Susan, London, Paris…(Fall 2015). “…I’d like to thank you once again for giving us a wonderful trip in Bhutan, all the good food, good people and good scenes. It’s really a memorable trip! Our trekking is my once in a life time experience and I hope I’ll be able to challenge a different trek some years later…” Kit and friends, Hong Kong (Fall 2015). “…For my part, our time in Bhutan was by far the best trip of my life and truly a life changing and eye opening experience. I cannot even begin to tell you how much I miss it and how much I look forward to going back. I also know that our trip wouldn’t have been nearly as extraordinary if it had not been for your hospitality and incredible service. I also cannot say enough good things about staff who simply could not have done a better job…” Amaury and friends, Los Angeles (Spring 2015). 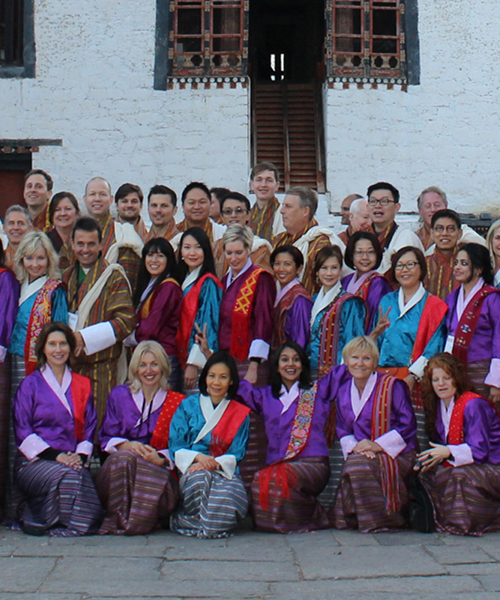 “…We would like to thank you for the great hospitality during our Bhutan trip. It was such a pleasure to join the dinner at your place and get to know other travel mates at the same time. We would also like to express our appreciation to our tour guide and driver who were very professional and engaging throughout the trip and took good care of us…” Nora, Hong Kong (Spring 2015). “…Thank you for the fantastic time you showed us in Bhutan. Your dedication to making people’s vacation truly wonderful and memorable is extraordinary….” Jim, NH, USA. “…Thank you for a second wonderful holiday in Bhutan. As before, the people, the welcome, the sights and the scenery were wonderful. Your team looked after us with genuine care. And we really appreciated the way you took time each day to check up on us…” Simon, Hong Kong. 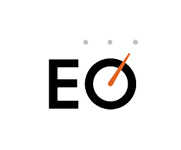 “…I want to say again your company provided me with one of the best trips of my life. Please let us know when you come to San Francisco…” Marty, San Francisco, USA. “…Thank you again for everything during this past week. We really had a great time!…” Lisa and Michael, Hong Kong. 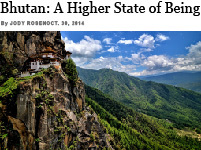 “..We have such great memories and photos of people and places in Bhutan. It was difficult to leave! I feel as if I need to be weaned off the beautiful scenery and all the warm hospitality. Thanks for guiding us through the journey…” Toni & Scott, San Francisco, USA. Glad to provide references from our recent and past guests.